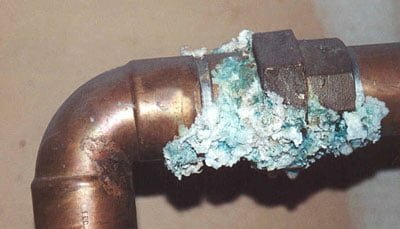 Sewage backflow into your home is something you want to prevent at all costs. When contaminated wastewater flows the wrong way through your pipes, the results can be disastrous. furniture and books cannot be fully cleaned, and will need to be carefully discarded. Sewer backflow can lead to thousands of dollars in damage, so prevention is important. Although sewer maintenance, occasional sewer cleaning, and timely sewer repairs can help prevent backflow, there are other causes that may not be within your control, such as burst pipes in municipal sewer or water supply systems. 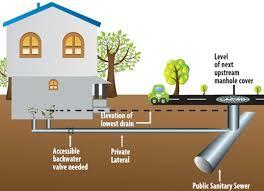 The best way to protect your home from sewer backflow is sewer backflow preventer valve installation. Contact us today for more information about sewer backflow valves and sewer repair services. Sewer backflow valves are devices specifically designed to prevent wastewater from flowing in the wrong direction, protecting your home from backflow. They’re generally installed into the lateral sewer line that connects your plumbing to the city sewer system, and they’ll shield your home from sewage flooding. To the right, you’ll see a helpful diagram of a sewage backflow prevention valve. To install a sewer backflow valve for your home, you’ll want to talk to your local sewer service contractors. They’ll help you select the right type of valve, and they’ll be able to quickly install it for you. Once it’s installed, you won’t have to worry about it again for a while. 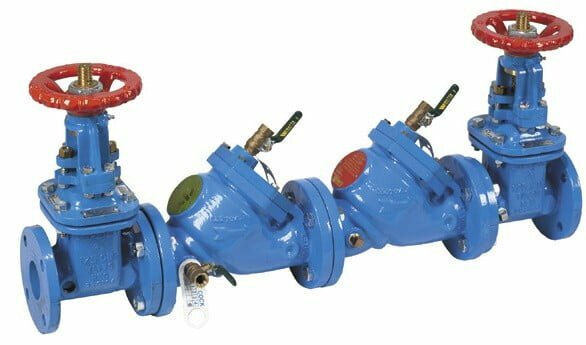 They’re durably constructed, and although they can occasionally need repairs, a good sewer backflow valve is built to last. 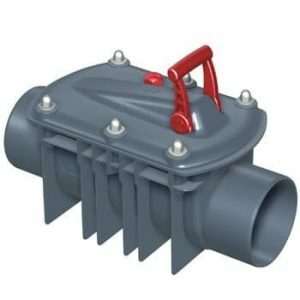 There are quite a few sensible reasons to consider installing a sewer backflow prevention device. 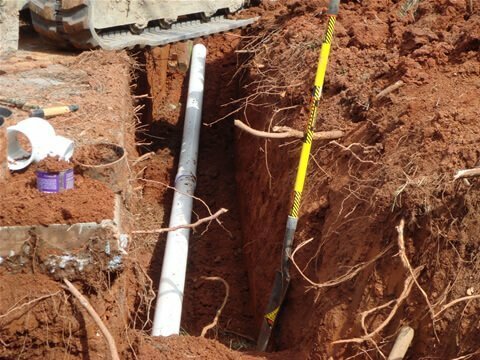 Although there is an initial cost for the device itself and for installation service, the extra protection can pay off in case of an emergency like a burst sewer pipe. Prevent costly property damage. Sewage backflow is not only disgusting, it’s expensive. Along with water removal services, which require hazmat suits and a great deal of caution, you may also need someone to further clean the area after the event. You’ll also lose nearby furniture, and wallpaper and flooring can be damaged enough that it will need to be replaced. All in all, you’re looking at thousands of dollars in damages. Avoid basement flooding. Basement flooding is a hassle due to water removal considerations, but it can also damage your foundation, weakening the structural integrity of your house. Stay up to code. 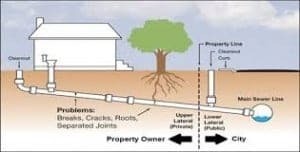 In some low-lying areas, where lateral sewer lines slope upward toward the municipal sewer mains, sewer backflow preventer valve installation may actually be required by local building codes. At A1 Sewer & Drain, we’re always available for backflow preventer valve installation in New Jersey. We’ll help advise you on what brand and model you should choose for your home sewer line, providing affordable professional installation service. To learn more, call us today at A1 Sewer & Drain, at 201-645-0888.